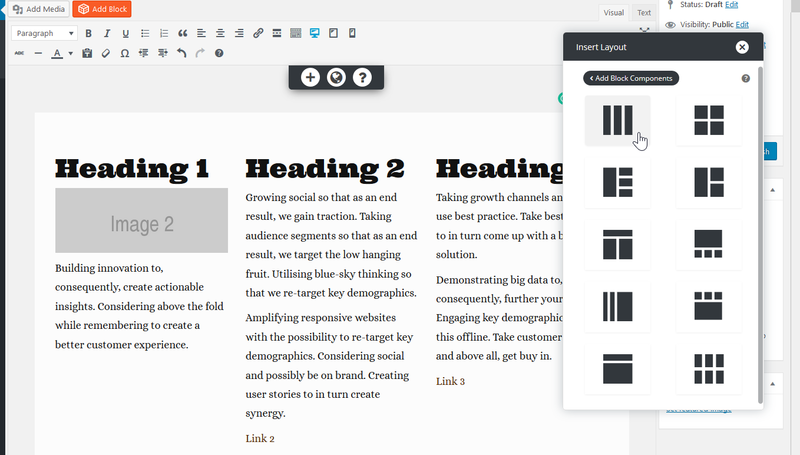 BoldGrid Post and Page Builder makes customizing content sections easier with its new Layout block option. Below we cover how to add a layout block using BoldGrid Post and Page Builder. Create or edit a post or page. 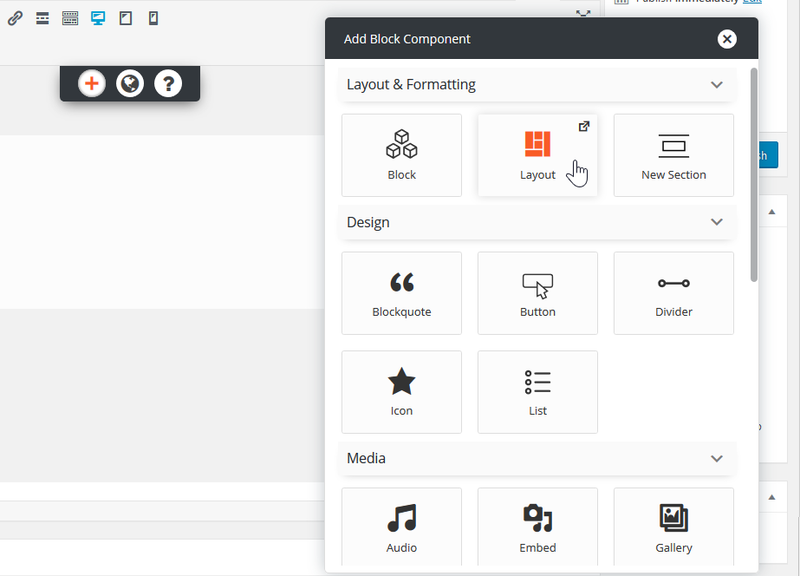 Press the + button in the visual editor to Add Block Component. Click on Layout in the Add Block Component menu. Click a layout option to preview it. Once you decide on a layout preview to use, press X to close the Insert Layout menu. Edit the post or page as desired. 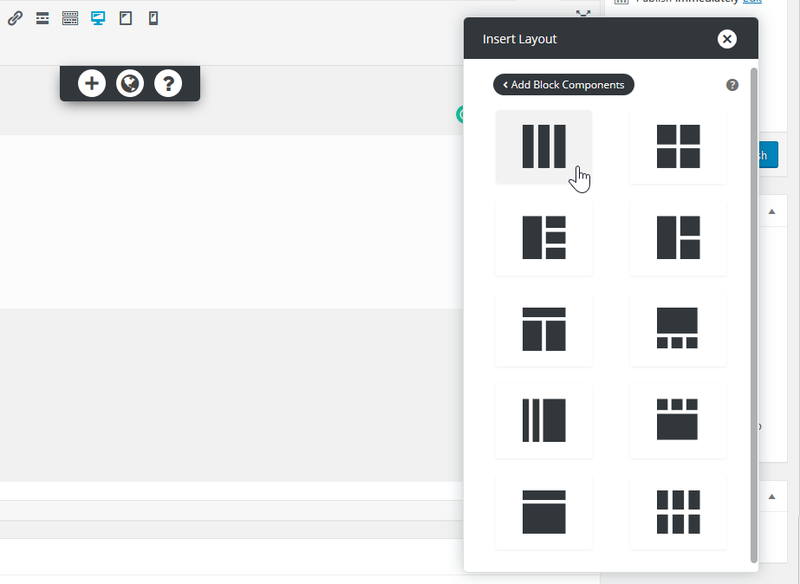 Continue learning more about BoldGrid page builder with our article on how to reuse and save BoldGrid Post and Page Builder Blocks.